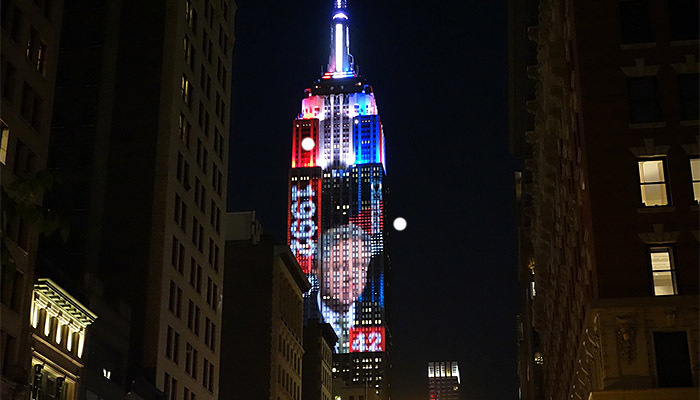 I was in New York during election week. The timing had been more of a coincidence than anything else. The main reason I had gone to New York was to meet clients. I wanted to better understand how investors were thinking about alternative data and quant approaches to markets (and of course, to try out a few new New York burger joints). At the same time, I was also trying to seek out new and exciting datasets that could be researched during my time there. From my meetings, my general impression was that there is a lot of interest in quant techniques and alternative datasets, not purely from quant funds who I met (which you would of course expect), but increasingly from more discretionary based macro traders. More broadly, in the past year I have noticed an uptick in macro traders reaching out to me, to understand how quant analysis of markets can help them decipher market drivers. I feel that this trend is also likely to continue over time. Perhaps unsurprisingly, during my trip, the election proved to be a big talking point, with whoever I met. Who thought Trump would win? I didn’t, even if I thought there was non-trivial probability he could win. From a market’s based perspective, is it relevant what I think? No (although, in any case as a quant, ultimately, for us understanding markets, is something which we try to do through the prism of quantitative models we build). What is far more important, is an investor’s relative view versus the market for such an event. Over a scheduled event risk such the recent election, it is the surprise that essentially moves markets. In an election, we can map a number of different outcomes, even if beforehand we don’t know who win will, and a quant approach can help us. We can back out market pricing for the various outcomes of such event, by looking at volatility surface of specific assets leading up to it, given we know the event timing beforehand. Indeed, Iain Clark and myself did this before the US election (see Implications of a Trump Victory on FX Markets 5 November 2016) on various currency pairs such as USD/MXN. From our analysis, it seemed clear that the options traders were particularly keen on hedging MXN depreciation risk (on a Trump win) rather than appreciation risk (on a Clinton win). In the end, a Trump victory moved USD/MXN in the range you’d have expected by looking at the options implied distribution. So yes, no one has a crystal ball before an event such as the election, but we can nevertheless at least use the market to gauge a distribution of outcomes, and use that to adjust our positioning accordingly. Obviously, the market has now moved on from a purely one day event risk, to the uncertainly, of precisely what Trump will do when in power and how political news can dominate price action. We have already seen USD appreciation on the back of expectations around fiscal stimulus and a rise in yields. Following Brexit, we saw how political news has been a major driver for the currency as well. Furthermore, with Fed likely to move in December (and potentially more in 2017), it is also even more important to be tracking what they’re saying as well. What can we do to understand such events from a systematic trading perspective? One solution is to use machine readable news data and alternative news sources to measure and identify political risks, and to build systematic trading strategies to react to that. Even if we don’t do “systematic” trading, having a better handle on political risk can be useful for helping to model volatility in risk models. This is especially pertinent given that we cannot rely upon all political geopolitical events to be “scheduled” and as clear cut as an election, where we can use the options market to gauge relative probabilities. We can also use quant techniques to decipher Fed communications. After all, Fed speakers are specifically trying to give their views on the rates path. Indeed, I’ve created a prototype Fed index which tries to do this. If as a quant (or indeed as any market participant), we simply choose to ignore the information in news data or indeed alternative data sources, we are missing some pieces of the jigsaw, which others are most definitely using in their trading strategies. This is especially true today, with the changing political landscape.